Fall 2018 Catching Clinics w/ Kevin Healy! Updated Tuesday September 18, 2018 by Kris Marceca. Back by popular demand are the Fall Catching Clinics coached by Kevin Healy. Kevin is the new varsity baseball coach at WL (after being the varsity baseball coach for many years at Langley HS) and is a well-known coach and has been an instructor for AGSA for many years. 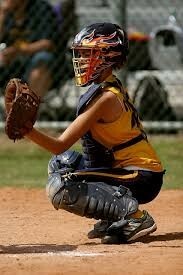 Session 1 (10a - 11a): Beginning Catching - introducing all of the basic skills such as blocking and throwing. Session 2 (11a - Noon) Experienced Catching - for those girls that have had some experience and are ready to learn more advanced skills such as framing. All sessions will be limited to 6 partipants, will be held at ATS and the program will cost $80 (for four sessions). Dates are: 9/30; 10/14, 10/21 & 10/28.